The entire Ecuador team - all eleven players - were sent off in an international match in 1978! Because of a colour clash, Blackburn Rovers' players wore white evening dress shirts for their 1890 FA Cup final encounter with The Wednesday! In May 1950 Blackpool signed Billy Wright from a local junior club for a set of tangerine jerseys! These are just a few of the many hundreds of startling, unusual and improbable stories thrown up by the beautiful game over the years. 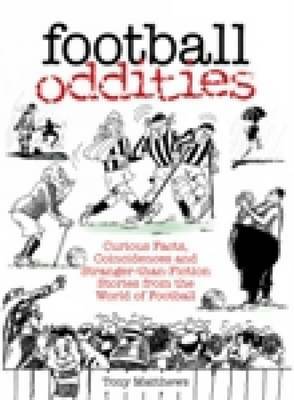 In one of the most individual and irreverent collections of footballing facts ever produced, Tony Matthews has unearthed tales of the unexpected that will delight footy fans everywhere. Did you hear the one about the Argentine full-back who scored a hat-trick of own goals in less than an hour? Remember the England goalkeeper who was sent off after just twenty-seven seconds of a Premiership game in 1995? Read about them - and many, many others - here.